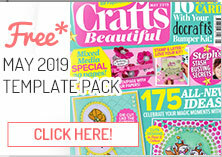 1 Create a 14cm square, side-fold blank from double-sided paper. 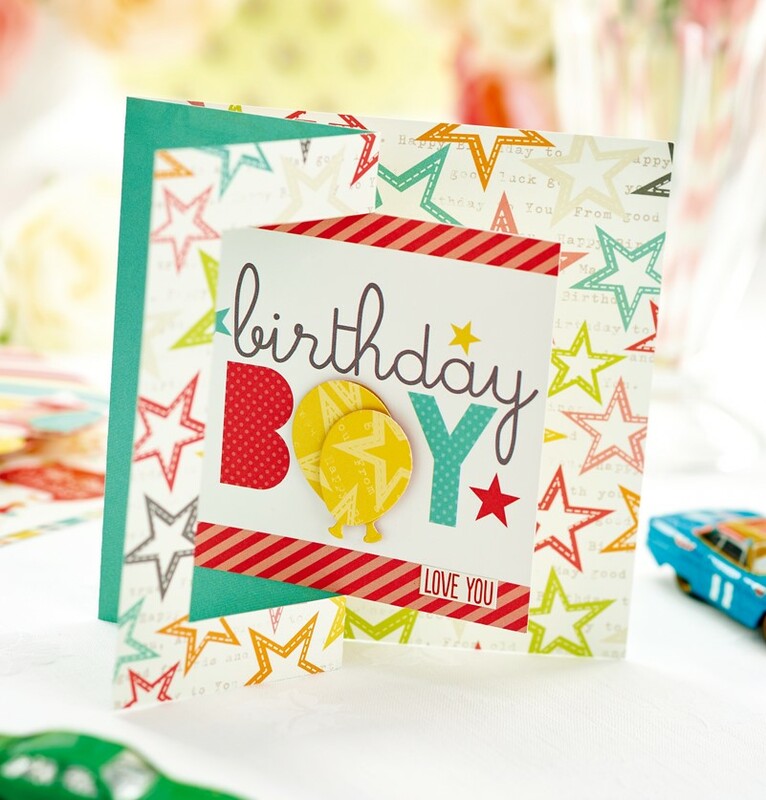 Use a ‘birthday boy’ topper from the kit as a template and draw a central square on the front of the card. Mark short vertical lines, centrally above and below the panel. 2 Make a half ‘window’ by cutting the square outline to the right of the central line. Score both remaining vertical lines, and fold the outer cut edge back on itself. Adhere the ‘birthday boy’ topper as shown. Die-cut two balloons and mount using foam pads. Add a sentiment sticker. 1 Trim an A6 blank from double-sided paper. 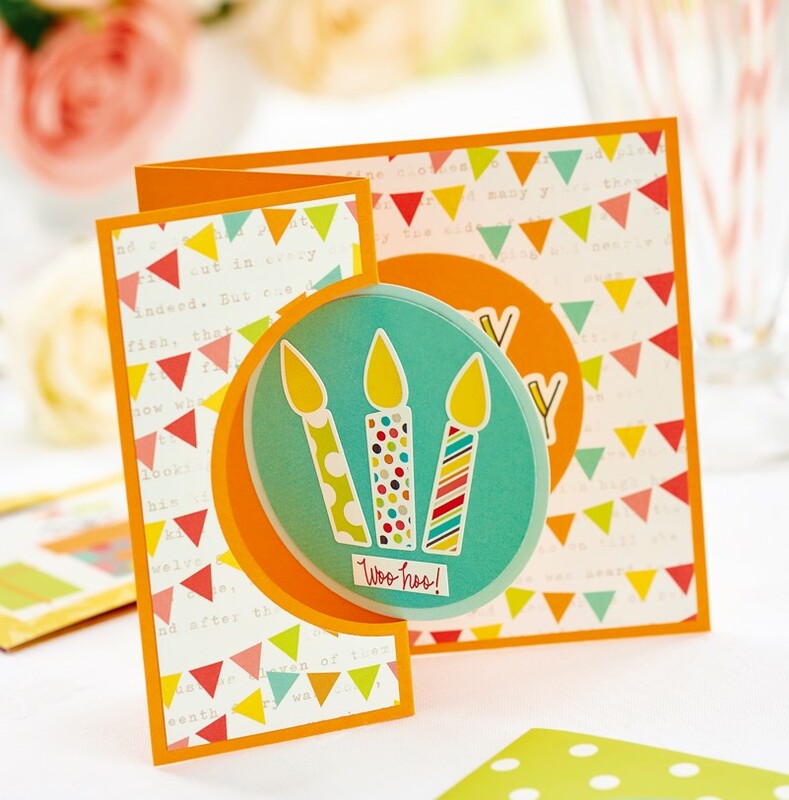 Draw around the ‘candle’ topper on the front of the blank and mark the centre with a vertical line. Cut the outline to the right of the line only. Score the short vertical marks, top and bottom, and fold the outer frame edge back on itself. 2 Fix the candle topper as shown and embellish the flames with tiny gold gems. 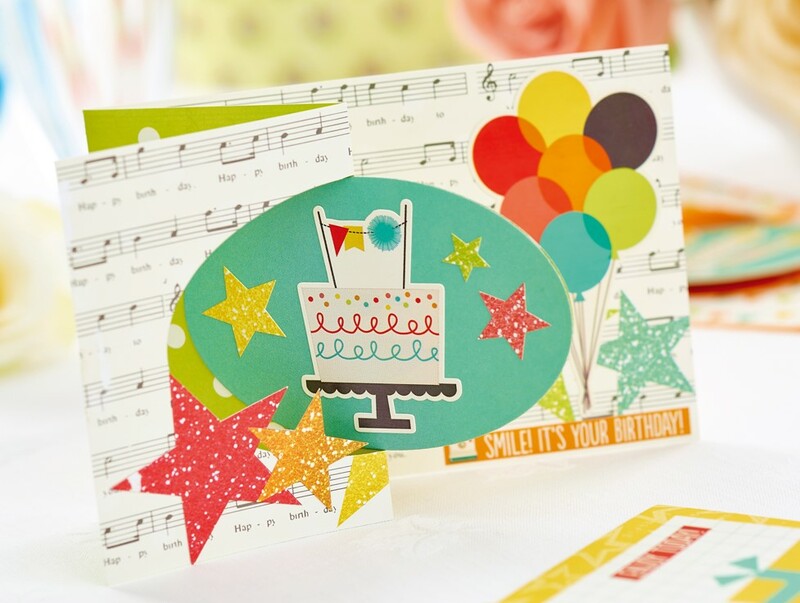 Die-cut balloons in a variety of papers. Fix to the inside right panel, using double-sided tape and foam pads. Add sentiment stickers to complete. 1 Cut an A6 blank from double-sided paper. Draw a vertical line in the centre of the front panel. Plot three 3cm squares that sit centrally on the line. Cut around the right edges of the squares. Score the remaining vertical area up to the central point and fold the right panel of the card back on itself. 2 Die-cut three balloons in assorted shades. Position each motif on a square, varying the angles. Fix in place with foam pads. Trim a panel of patterned paper, slightly smaller than A6 and stick to the inside right-hand face. Decorate with stickers. 1 Take an orange 13cm square blank. Mark a vertical line to the centre front. Place a circle die in the middle and cut up to the right-hand half of the line only. Do not cut beyond the vertical mark. Score the remaining top and bottom guidelines and fold the right side of the card back on itself. 2 Trim patterned paper to fit on the inside left, folded panel. 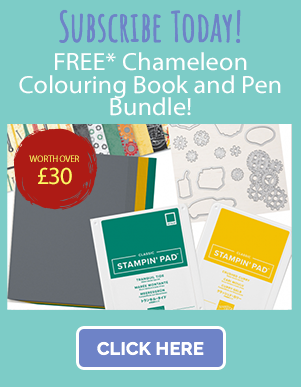 Cut a larger half circle from the right-hand paper edge, aligning so it sits neatly decorating the flap. Stick patterned paper to the back panel. Layer two circles to the central section and add stickers to finish. 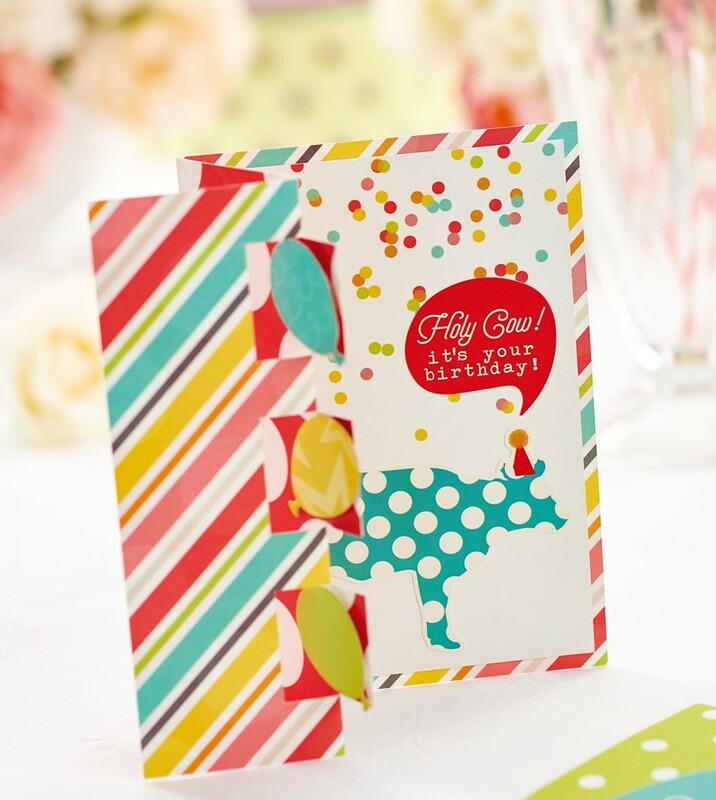 Create an A6 side folding card from spotty double-sided paper. Mark a vertical line to the centre front. Position a large oval die centrally and cut up to the guideline. Score above and below the oval, then fold the paper back on itself. 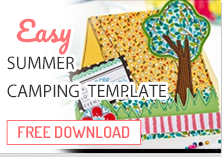 Add cut out stars to patterned paper and stickers to complete. 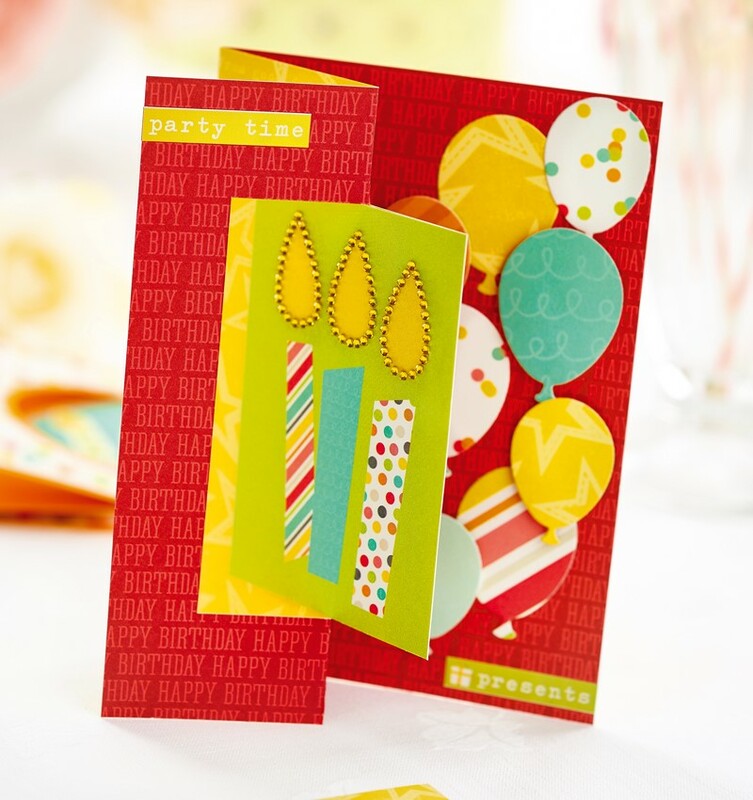 Using patterned papers, create a side folding A6 blank. 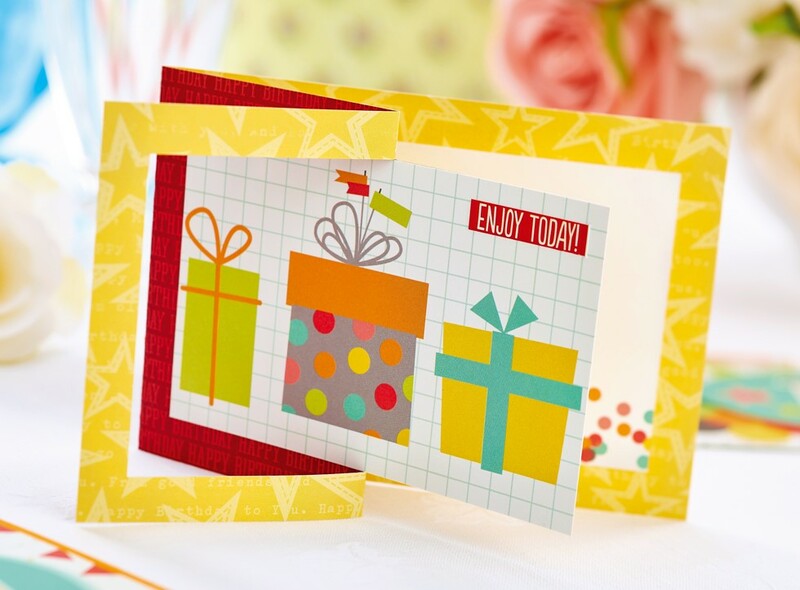 Use the ‘present’ topper as a template and draw around it on the card face. Cut around the right-hand edge, up to the centre point of the panel. 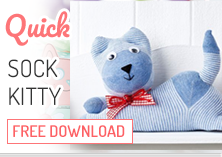 Fix the topper in place and embellish with a sentiment sticker. Fold back the narrow cut frame. Stick a message panel to the inside face of the card.